10 April 2019 / Report by Steve and Cecelia Wakeling. Photos by Rod Nicholas and Steve Wakeling. 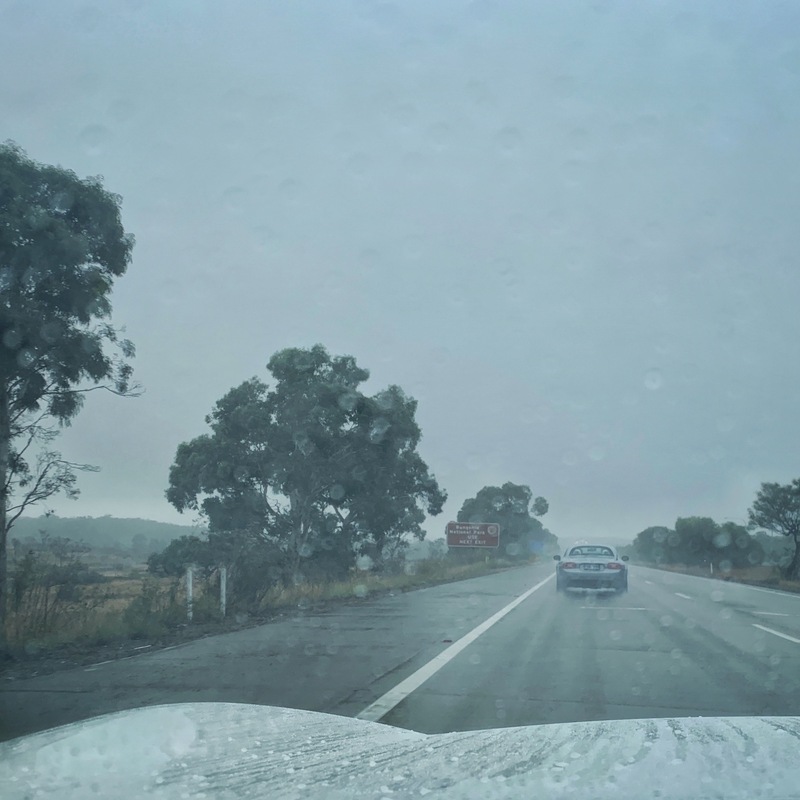 On an overcast Saturday 16 March 2019, we met at Mitchell at 8am for an early start. 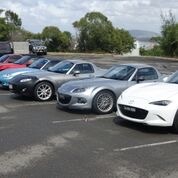 Six cars and 10 MX-5 enthusiasts turned up. We proceeded directly to Marulan for morning tea. Then the fun started as we left the highway and tootled along The Highland Way through picturesque villages and past rich green pastures to Robertson. 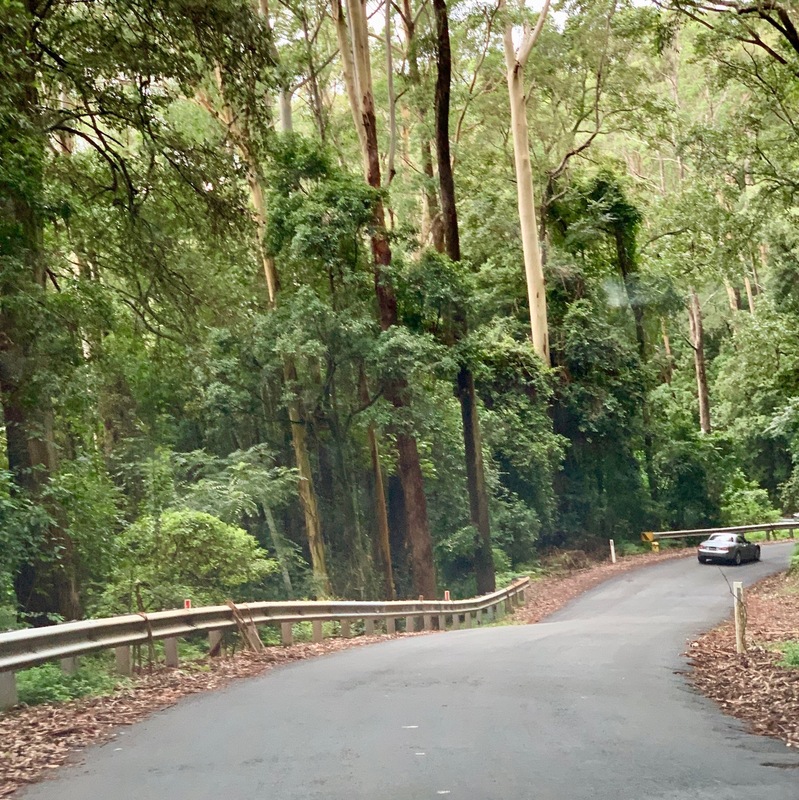 At Robertson we headed down the escarpment in light rain via the Jamberoo Mountain road. 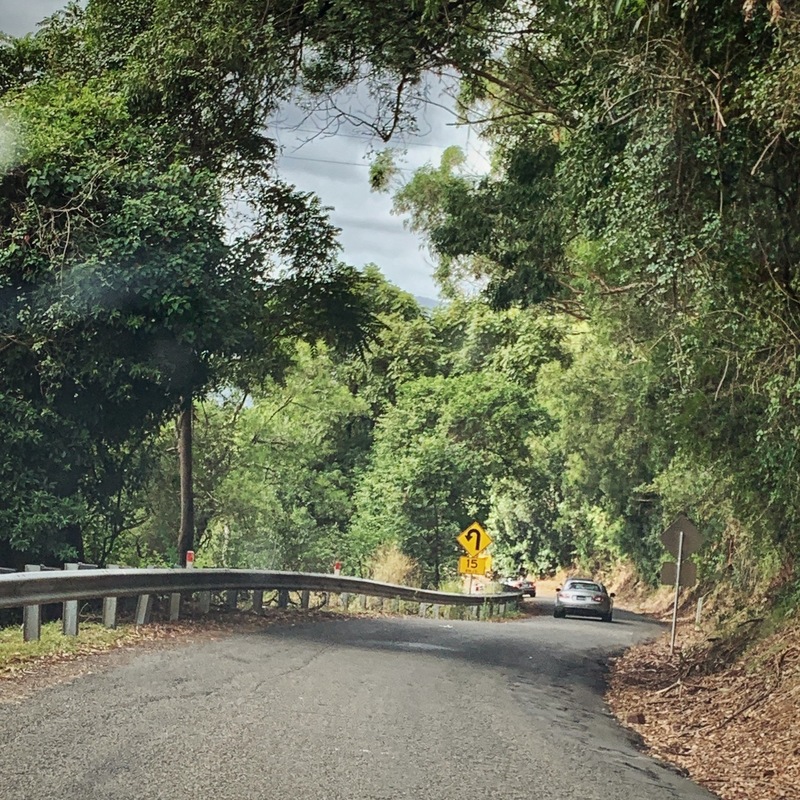 This is a narrow twisting downhill road which MX-5s love and has gradients up to 16%. Luckily, we were only slowed by a horse float in the last few kms as there is absolutely nowhere to overtake. Other than that, it was a perfect descent but there are no spots to stop and check out the stunning view. It was just a matter of a quick look before lining up at the next corner. 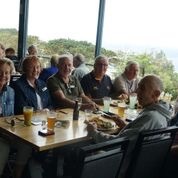 Lunch was at the Gerroa Boat Fisherman’s club – highly recommended. The rain had eased by now, so it was tops down and onto Berry for a coffee and a chance for some shopping. Berry is an arty/crafty historic town well worth a destination on its own. 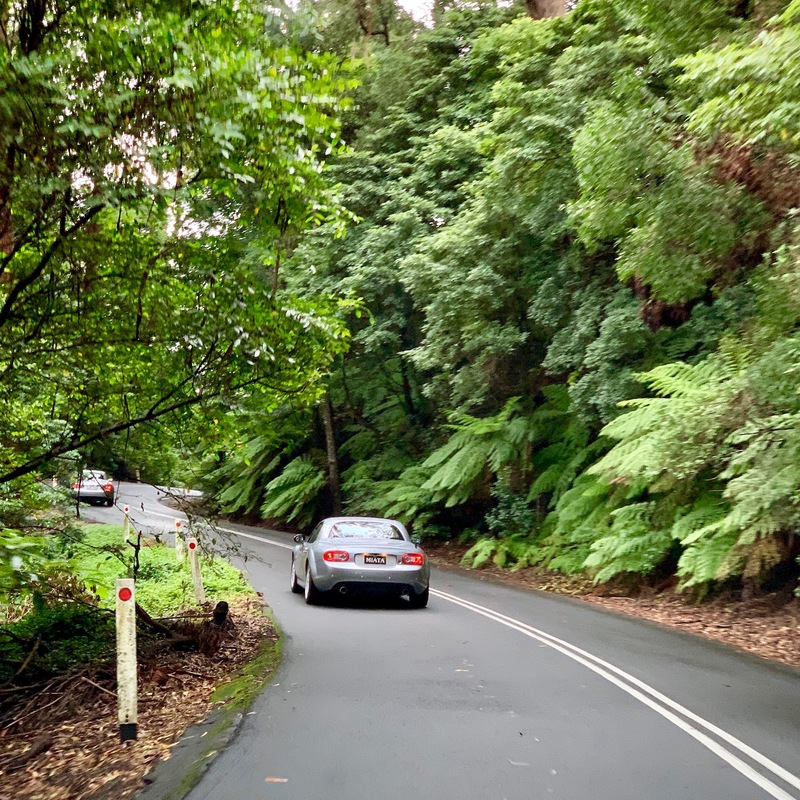 We continued with tops down along the narrow winding road and then proceeded up the escarpment to Kangaroo Valley. A short stop here revealed three pie shops. This could be worth exploring at a later date. There were other shops there if you are not into pie shops. 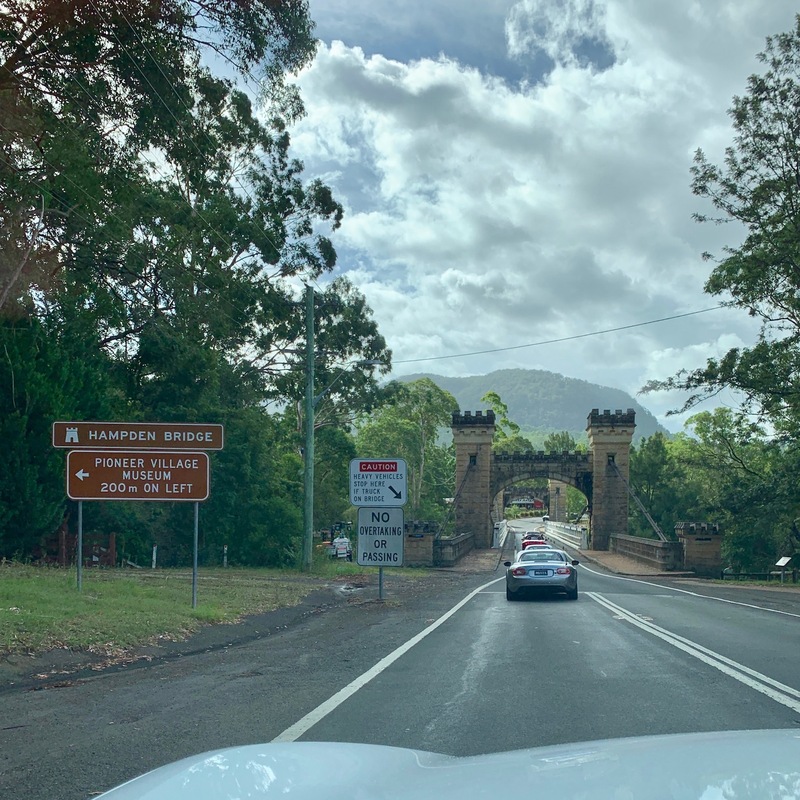 Finally, on through Fitzroy Falls across the old convict bridge and eventually back onto the highway for the trip home. 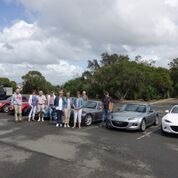 It was a long day, but all enjoyed the drive with some even commenting that they had never been on some of the roads before. Distance travelled was around 520 kms. PS. This was the first run I have organized, no lost cars and only the one compulsory u-turn.